Click on the Virtual Tour link to see the video walk through! This extra clean luxury ranch offers 2.5 baths and all the features large-home buyers expect plus many extras, including: Gorgeous Kitchen with Granite or Quartz Countertops, Hardwood Floors in Living Areas, 4x4 window over the 6ft tub with tile, big walk in Custom Tiled Shower with door, Stone Fireplace, upgraded front door, smooth ceilings, upgraded cabinets with under mount lighting & oversized baseboards. 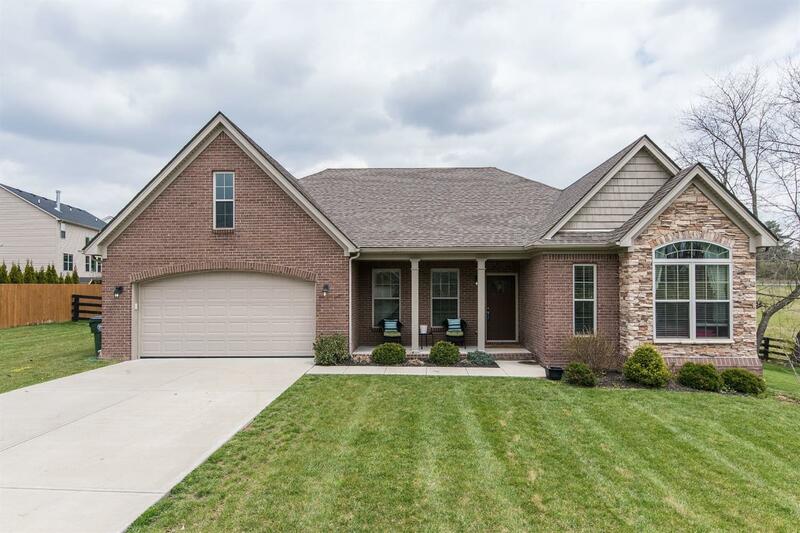 It has a master suite with tray ceiling, luxury bath, & large walk-in closet; a formal dining room with tray ceiling, plus full size breakfast area. It has a huge family room with a Barrel-Style Vaulted Ceiling. Bedrooms 2 and 3 are roomy, with spacious walk-in closets and a Jack & Jill Bathroom. A big Walk-in Pantry off the kitchen and an offset in the 2 car garage offer great storage capacity. Super .35 Acre Lot with Horse Views. Covered Porches front and rear. Carpet was just replaced in the children's bedrooms. Miscellaneous: Foyer, Master Bdrm 1st Flr.,Bedroom 1st Floor, Great Room, Separate Utility Rm.